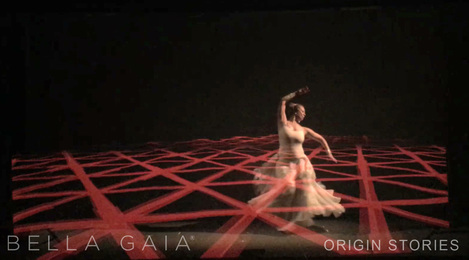 Origin Stories is a cutting edge multimedia dance performance utilizing live motion tracking, custom programmed visual algorithms, and 3D projection effects that takes the audience on an explorative journey of the relationship of geometry in nature and Arabesque patterns. 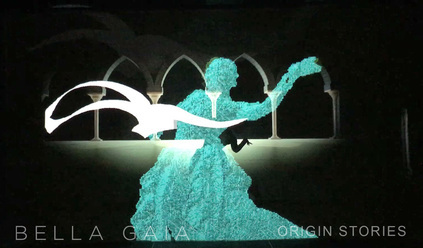 The 3D effect was produced without the use of 3D glasses, utilizing multiscreen, scrim, and lighting effects live. 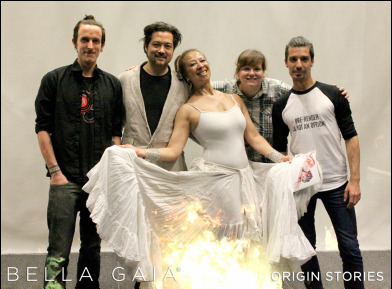 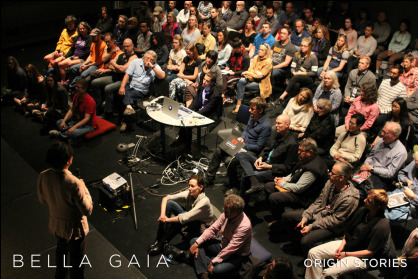 As an R&D production of BELLA GAIA, Origin Stories was a result of an artist residency by Kenji Williams, invited by the dean of Arts and Sciences at the University of Colorado Boulder. 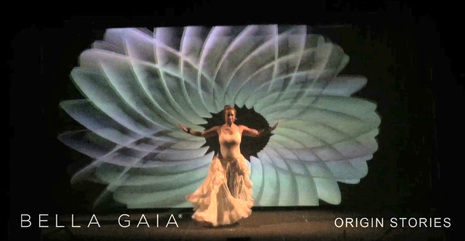 With creative direction by Kenji Williams working with programming artist Gordey Chernyy, and dance artist Donna Mejia, the final production was premiered in front of a live audience on April 8th, at the Conference on World Affairs at CU Boulder, at the Black Box Theater, Atlas Institute, and on May 2nd in New York City at Creative Tech Week. 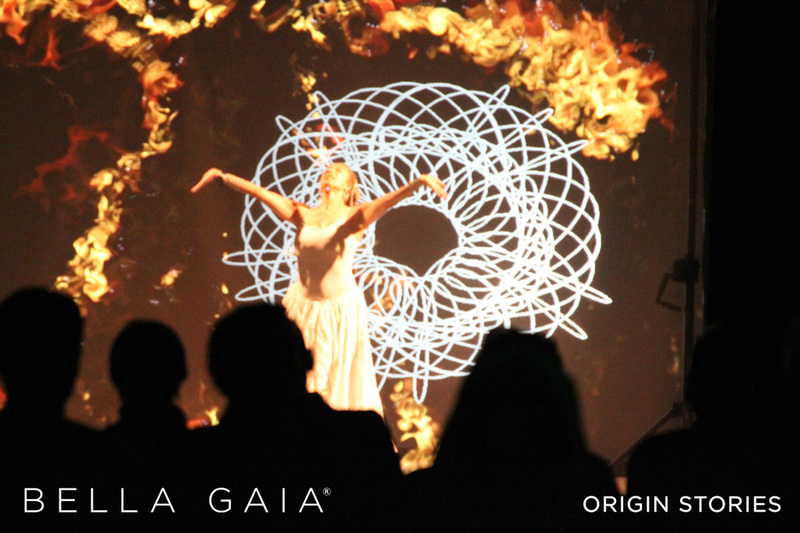 This unedited video capture of the live performance has absolutely no post production effects or pre-rendered video. 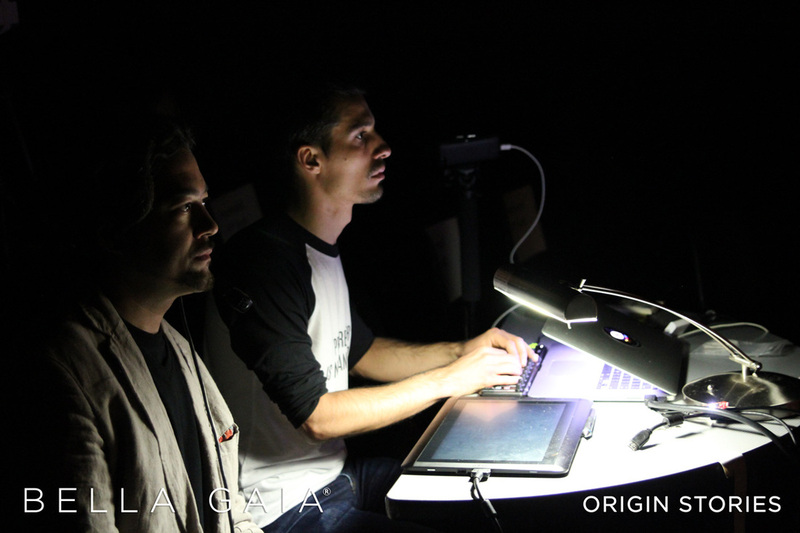 Everything is custom programmed, live generated, live-drawn, live tracked.